The soldiers also fired many gas bombs, concussion grenades and rubber-coated steel bullets on the protesting students, causing many to suffer the severe effects of teargas inhalation.Israeli soldiers abducted, Tuesday, five students of Birzeit University, including three females, in the Ramallah and al-Biereh District, while protesting near the Ofer Israeli prison, and violently assaulted them. The Israeli Occupation Forces (IOF) on Tuesday evening detained a Palestinian young man after clashes erupted in Nablus’s northern town of Sebastiya, in the northern West Bank. The clashes broke out when Israeli forces violently stormed the town amid heavy firing of teargas bombs and live ammunition and removed a Palestinian flagpole, local sources revealed. 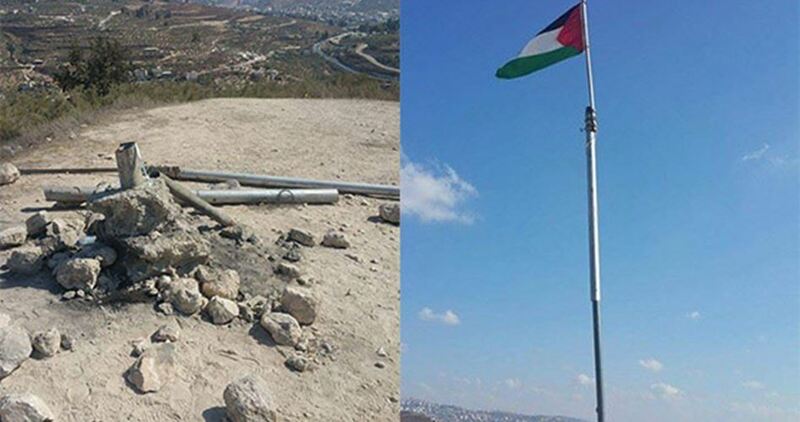 The Israeli forces have repeatedly stormed Sebastiya’s archaeological sites and blown up the Palestinian flagpole set up in the area. The flagpole was destroyed seven times over the past two months. Israeli soldiers shot and injured, on Monday afternoon, two Palestinian women, one of them in her sixties, at the Qalandia terminal north of occupied East Jerusalem, and abducted the younger woman. The Palestinian Health Ministry said in a brief statement that the soldiers shot a young woman, who remained unidentified until the time of this report, with live rounds, and took her to an unknown destination. It added that another woman, identified as Khadija Khalaf Sarameeh, 65, was moved to a hospital, after the soldiers fired a concussion grenade at her, causing various burns and cuts. 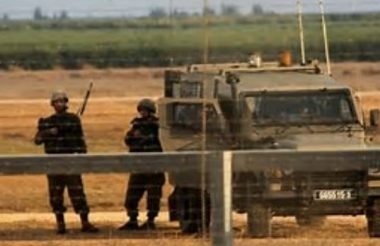 Following the shooting, dozens of soldiers were deployed in the area, amidst escalation tension, and prevented the Palestinians from crossing. 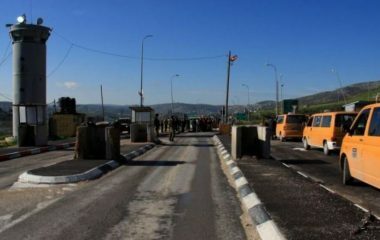 The attack came shortly after the soldiers shot and injured an elderly Palestinian man, identified as Hussein Hasan Qawareeq, 72, at the Huwwara military roadblock, south of Nablus, in the northern part of the occupied West Bank. Earlier on Tuesday, the soldiers invaded Beit Fajjar town, south of Bethlehem in the occupied West Bank, and abducted a Palestinian, identified as Mohammad Hamdi Taqatqa, 30, after breaking into his home and violently searching it. Israeli soldiers shot and injured, on Monday morning, an elderly Palestinian man at the Huwwara military roadblock, south of Nablus, in the northern part of the occupied West Bank. The Palestinian Red Crescent Society (PRC) has reported that the elderly man, identified as Hussein Hasan Qawareeq, 72, suffered moderate wounds after the soldiers shot him with two live rounds in the pelvis and one of his legs. It added that its medics rushed to the scene of the Israeli attack, and moved the man to Rafidia Government run hospital, near Nablus. Qawareeq is from Awarta village, east of Nablus. It remains unclear why the soldiers opened fire on the elderly Palestinian man, and there have been no reports of any attacks against the soldiers. 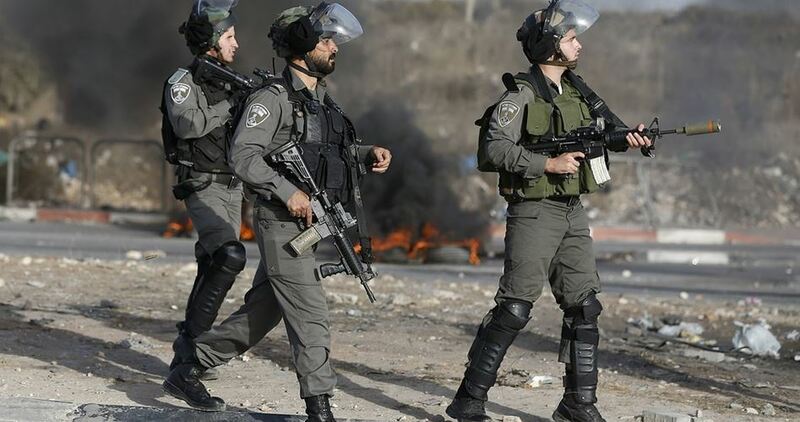 A Palestinian child was injured with a metal bullet, and others suffered suffocation in the confrontations with the Israeli police forces on Monday evening in Shufat refugee camp, northeast of occupied Jerusalem. 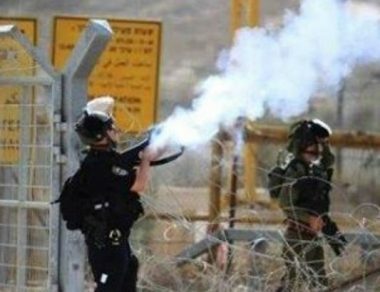 According to the PIC reporter, the Israeli policemen fired metal bullets and tear gas canisters after raiding Shufat refugee camp. They also hindered transferring the injured child to the hospital and detained the Red Crescent ambulance. The Palestinian Red Crescent Society affirmed that the Israeli police detained its ambulance for half an hour at the Shufat checkpoint before allowing it to move the injured child to Hadassah hospital accompanied by an Israeli military vehicle. Eyewitnesses reported that violent clashes broke out inside Shufat after Israeli policemen broke into the camp through the military checkpoint and the gate of the separation wall placed in Ras Khamis neighborhood. They said that the policemen fired volleys of tear gas canisters at youths, passersby, and students who were leaving their schools causing many suffocation cases among them. Israeli policemen were deployed in the streets and alleys of the camp and two drones flew over it during the confrontations. Palestinian youths were chased and public buses were prevented from passing through the main street. 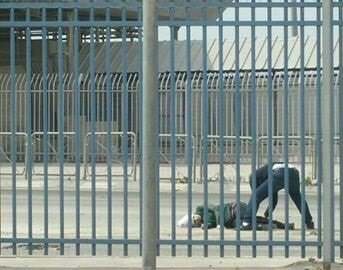 A Palestinian girl was shot and injured on Monday afternoon by Israeli Occupation Forces (IOF) at Qalandiya military barrier north of Occupied Jerusalem. IOF soldiers shot the girl, closed the barrier in all directions and summoned reinforcements to the site. The girl, who has not been identified yet, was left on the ground wounded. Israeli 0404 website alleged that she was carrying a knife and attempted to stab IOF soldiers at Qalandiya military checkpoint. The Palestinian Red Crescent said, in a brief statement, that their crews arrived at the scene, but Israeli troops prevented them from approaching the wounded girl. Many armored Israeli military vehicles invaded, on Monday at dawn, the town of Jaba’, south of the northern West Bank city of Jenin, and clashed with local youths, before firing dozens of gas bombs at them, and homes, causing several Palestinians to suffer the effects of teargas inhalation. Media sources in Jenin said the soldiers invaded a pharmacy in the town, and violently searched it, leading to clashes. The soldiers fired rubber-coated steel bullets, gas bombs and live rounds, causing many to suffer the effects of teargas inhalation. In addition, the soldiers stopped and held many cars, and interrogated several Palestinians, in addition to confiscating the ID cards of two siblings, identified as Mahmoud Hammour, and his brother Morad, and summoned them for interrogation. 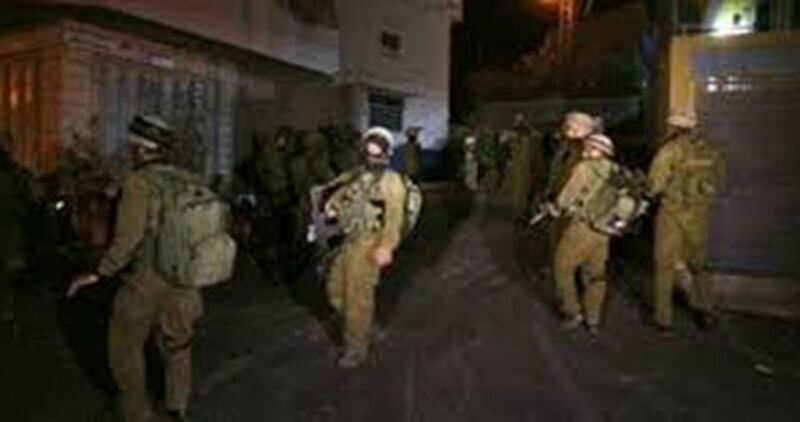 In related news, the soldiers invaded, overnight until early morning hours, many Palestinian communities in different parts of the occupied West Bank, including occupied East Jerusalem, searched dozens of homes and abducted 21 Palestinians, including a woman who is also a former political prisoner, from Hebron. At least four Palestinians were injured Monday afternoon after Israeli army targeted the Gaza Strip with multiple airstrikes. According to the PIC reporter, Israeli war jets fired four Israeli missiles at Shuhada site near Nuseirat refugee camp. Meanwhile, an Israeli reconnaissance plane fired a missile at a monitoring post east of Rafah city in the southern Gaza Strip. A separate strike in the Nahda neighborhood east of Rafah was reported while no injuries were initially declared. 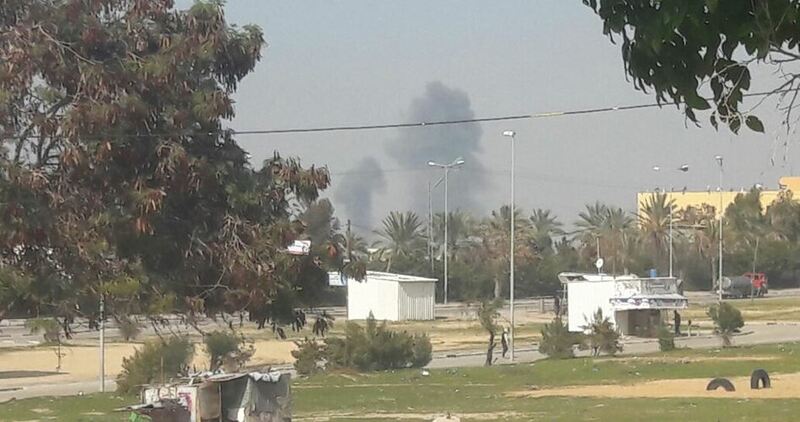 Along the same line, Israeli fighter jets fired a number of missiles at a resistance site in Beit Lahiya in the northern region of the Gaza Strip, the PIC reporter added. The Palestinian Health Ministry said that four Palestinians suffered moderate and slight injuries during the reported airstrikes. On the other hand, Israeli media sources claimed that Israeli army targeted ten military sites used by Hamas Movement after a rocket fired from Gaza allegedly landed in an open area in southern Israel that caused no injuries or damages. 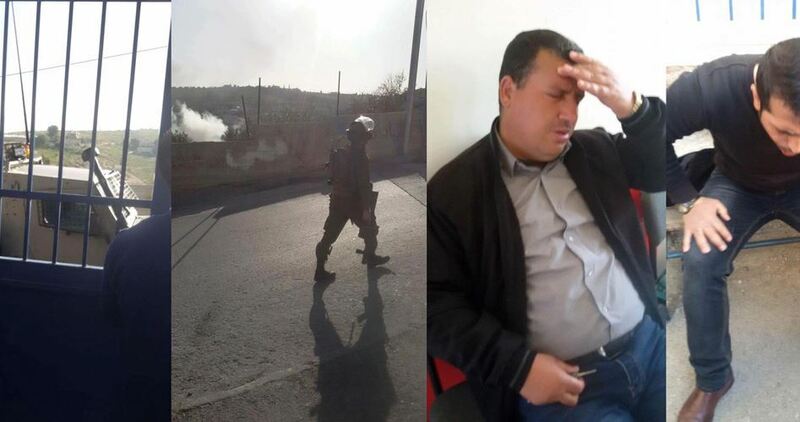 The Israeli occupation forces (IOF) at daybreak Sunday stormed Tekou’ Secondary School, east of Bethlehem province, and violently attacked its teaching staff. A PIC news correspondent said the occupation soldiers broke into the school without prior notifications and pepper sprayed the Palestinian instructors as they expressed their firm condemnation of the arbitrary assault. Clashes broke out between the Israeli soldiers and the school learners. Dozens of pupils choked on teargas after they were directly targeted with teargas canisters and rubber bullets, which were randomly unleashed by the occupation forces all the way through the break-in. 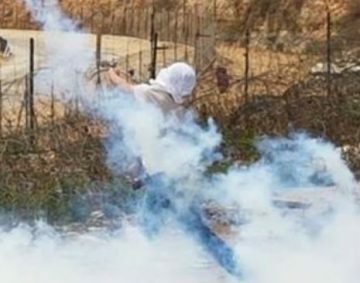 Tension has been running high in the area after the IOF rolled into Tekou’ town at the crack of dawn and wreaked havoc on the home of the slain Palestinian protester Kusay al-Amour, killed 40 days ago. Israeli soldiers fired, on Saturday evening, dozens of live rounds at homes, close to the border fence, east of Khan Younis, in the southern part of the besieged and impoverished Gaza Strip. Media sources in Gaza said many live rounds struck homes, in Khuza’a town, east of Khan Younis, causing damage, in addition to striking streets, in agricultural lands close to the fence. The sources added that the soldiers also fired several flares in the area, but did not invade the Palestinian lands. The Israeli occupation forces (IOF) at dawn Saturday stormed the new Askar refugee camp, east of Nablus city, with no reported arrests. Eyewitnesses said that troops aboard military vehicles patrolled neighborhoods in the refugee camp and then withdrew, without raiding homes or making arrests. In a separate incident last night, several jeeps boarded by armed Jewish settlers stormed and provocatively toured a Palestinian area located between the towns of Beit Dajan and Beit Furik east of Nablus. Hours later, they withdrew from the area and drove towards the illegal settlements of Elon Moreh and Itamar.